Adopted on May 25, 1965 . The 1965 law was sponsored by Rep. Keith Hinman and Sen. Clifford Lofvegren. It was signed into law by Governor Karl Rolvaag. Walleye, (Sander vitreus,) inhabit waters in all parts of the state, but mainly the large, cool lakes in northern Minnesota. Their eyes are sensitive to light, so they go to deep dark waters during the day and move to shallow lake areas at night. Minnesota's record walleye weighed 17 pounds 8 ounces. 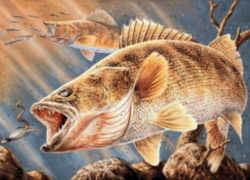 The walleye is the largest member of the perch family. It can grow to lengths of over 2 feet. The walleye's body shape is elongate, streamlined, and slightly compressed. The color of this fish is variable. 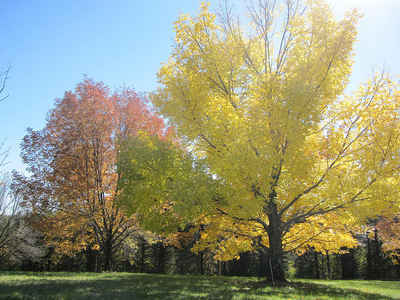 It is generally brownish yellow to grayish yellow on the back and sides, shading to white on the belly. Young walleyes show vague saddle-shaped bands on the body. 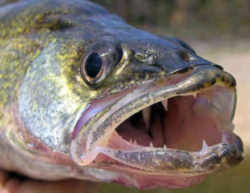 Walleyes differ from yellow perch in that they possess large canine-like jaw teeth. Walleye have a milky cast to their eyes. 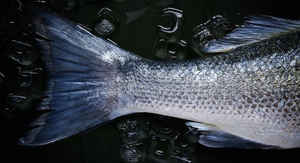 They have a long, round, olive body that has gold flecks on the sides with a white tip to the lower fork of the tail. There is a distinct black blotch on the rear end of the first dorsal fin. Walleye are most numerous in large, cool, windswept lakes with low to moderate clarity. They also live in large rivers. The preferred water temperature is 65-75 °F. Walleye most prefer other fish, but also eat aquatic insects, leeches, crayfish, snails, and larval salamanders. They normally feed in dim light. The law designating the walleye as the official Minnesota state fish is Section 1.146 (State fish) of the Minnesota Statutes, Jurisdiction, Civil Divisions, Chapter 1, Section 1.146. JURISDICTION, CIVIL DIVISIONS. CHAPTER 1 - SOVEREIGNTY, JURISDICTION, EMERGENCY OPERATION, GENERAL POLICIES. SECTION 1.146. Subdivision 1. Walleye. The walleye, Stizostedion v. vitreum, is the official fish of the state of Minnesota. Subdivision 2. Photograph. A photograph of the walleye shall be preserved in the office of the secretary of state.